600mg Maximum Strength Active Hexose Correlated Compound Immune Support – UK Manufactured to ISO 9001 quality assurance (60 Capsules). Active Hexose Correlated Compound is an alpha-glucan rich nutritional supplement produced from medicinal mushrooms. 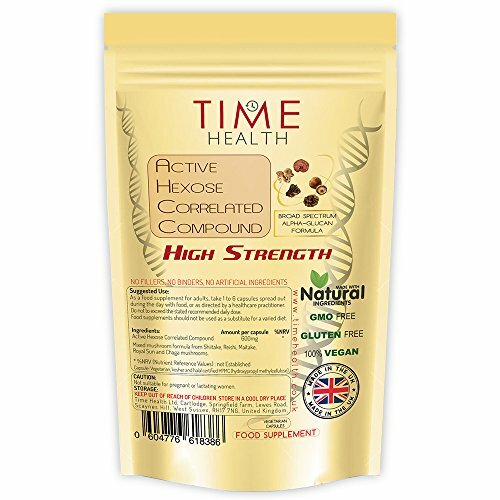 Time Health Active Hexose Correlated Compound is an alpha-glucan rich nutritional supplement produced from a special mixed mushroom broad spectrum formula like no other on the market today.